Everybody loves a hot cup of cocoa on a cold winter day. You know what might make that cocoa even better? A splash of some the good stuff! 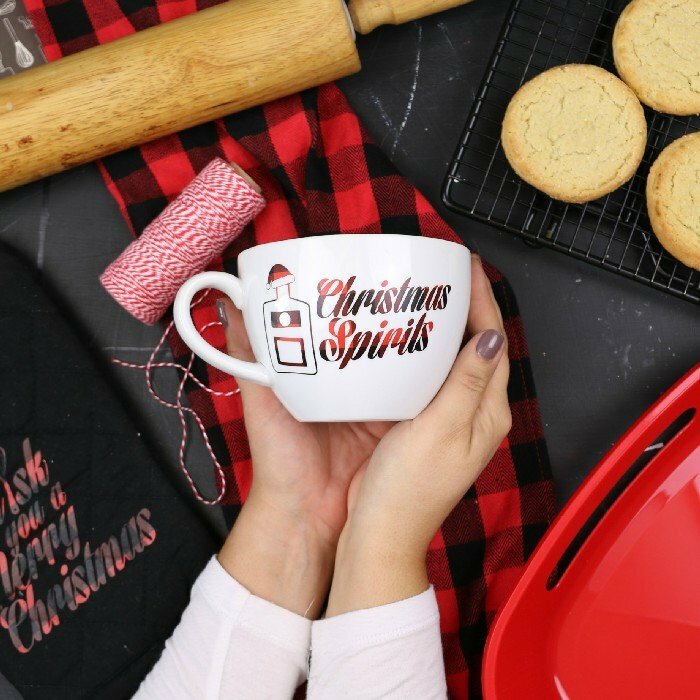 If you are known to sip spiked cider or adult hot chocolate over the holidays, this mug is for you! 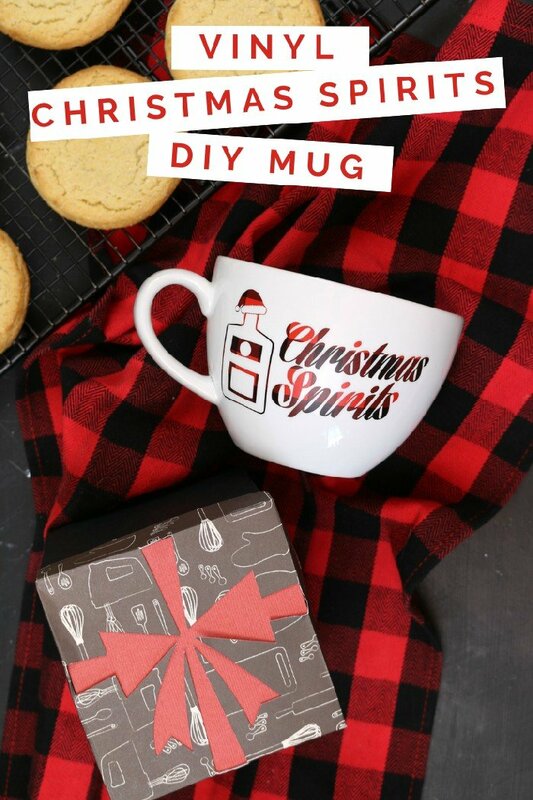 Make your own snarky Christmas Spirits mug with this simple tutorial. I bought my plain white mug at Walmart, but you can also find them online or at the dollar store. This mug was both rounded and tapered, which caused some issues when transferring the vinyl. 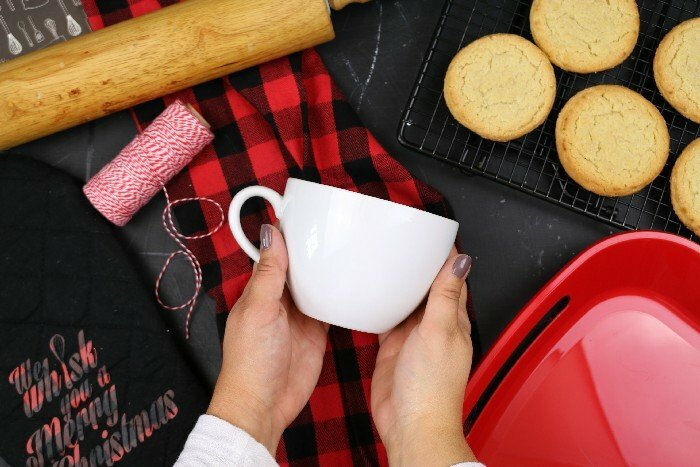 If you can find a mug with straight sides, this project will be even easier. I created this design in the Cricut Design Space. You are free to use it for non-commercial purposes. Cut the design out of adhesive vinyl (I found some ADORABLE buffalo check vinyl), weed out the excess, and add on some transfer tape. Carefully transfer the vinyl to the mug, working carefully around any rounded parts, and slowly peel off the transfer tap. If you would like this to be a temporary design, leave the vinyl as is. If you want the vinyl to last into next year and beyond, cover the design with a coat of dishwasher-safe Mod Podge. I love this design on a mug, but it would be equally cute on a cocktail glass or as a tag on a gift bottle of liqueur. Let me know how you use the design! Need a new signature Christmas cocktail? Try this one! 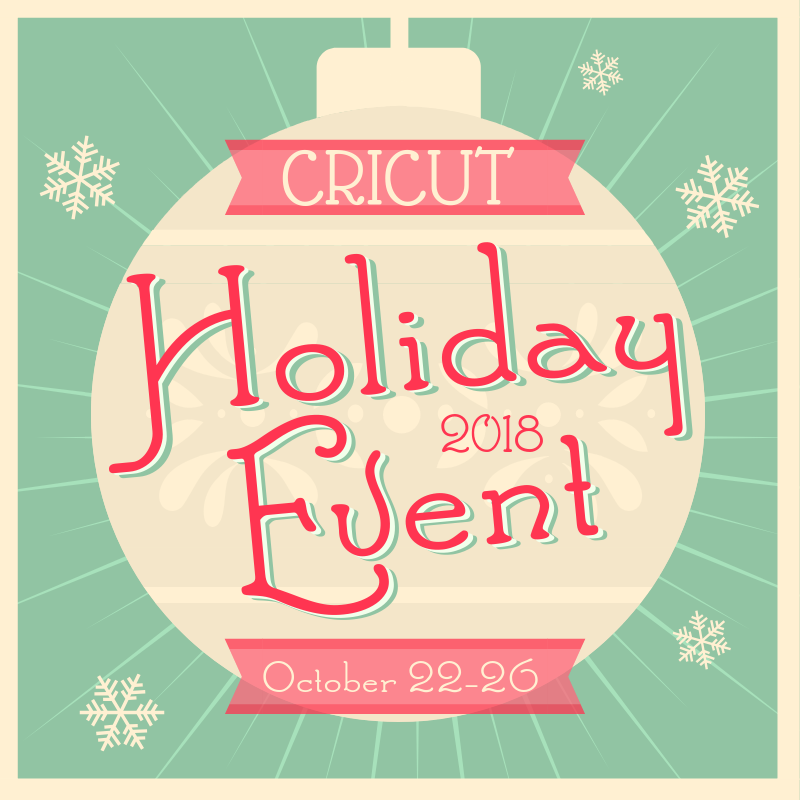 This is the second post I am sharing as part of the Cricut Holiday Event that will be running this whole week. 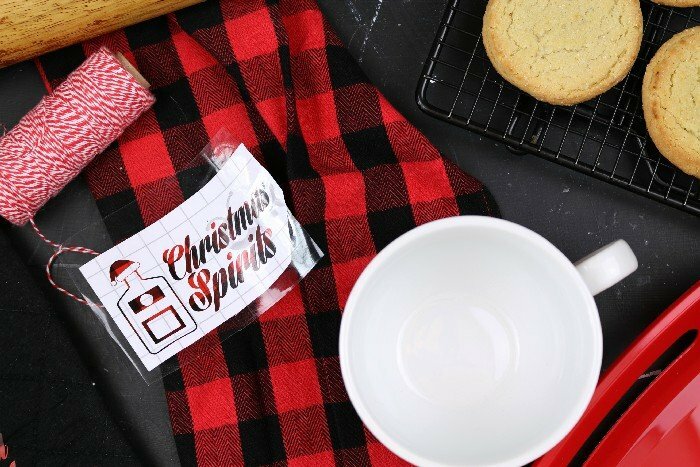 Did you see yesterday’s tutorial for the super cute holiday baking apron? Come back each day for more fun projects using a Cricut cutting machine. In the meanwhile, check out the other great tutorials shared so far. Hi, I was wondering how I can upload this project. I would love to use it for a Christmas gift if possible! Are you trying to save it to your computer or upload it to Design Space? There are some issues happening with links to Design Space across the board right now. I am trying to get it sorted out, and I will update this post as soon as they are working again. Sorry for the delay!